events have held sway on our schedule, so we've not had too much time (or need) for modeling. 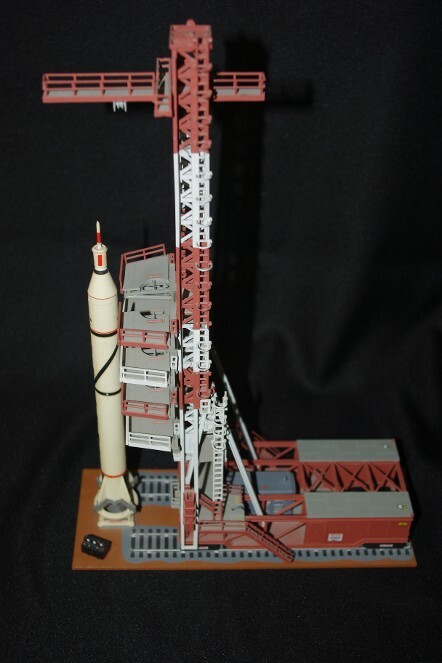 The picture below is a classic Revell 1/110 scale Jupiter C with Explorer 1 model. 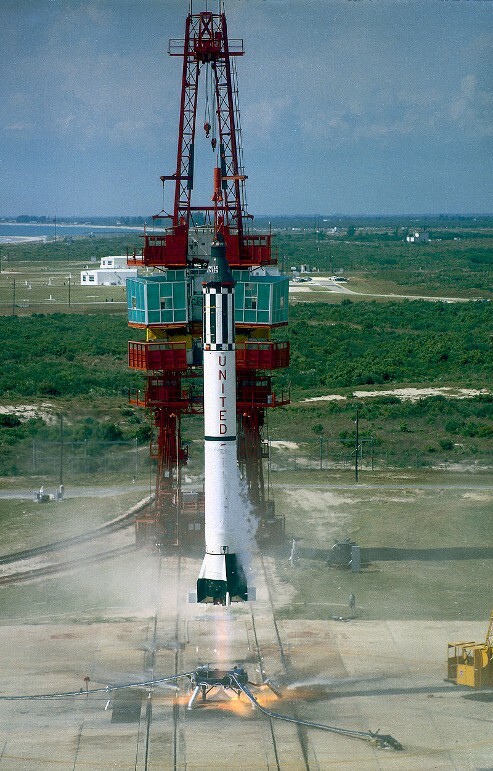 It is the one that is currently sitting in the Apollo Room. 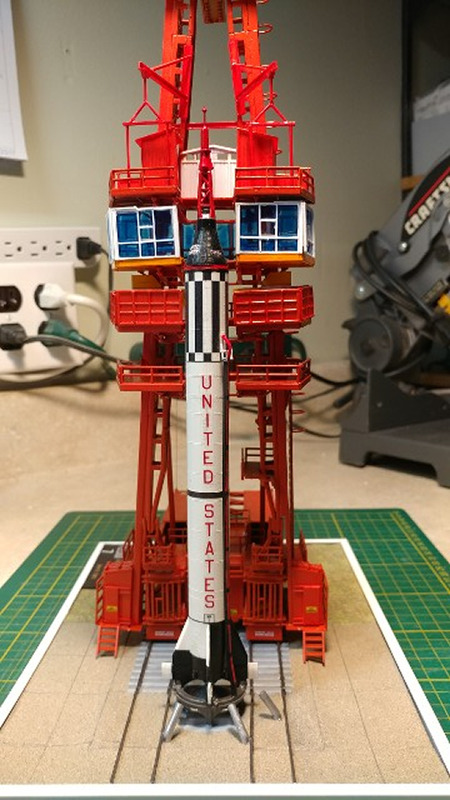 We purchased another copy through eBay, and it went through "modifications" to resemble Launch Complex 5's gantry and pad system, from which Alan Shepard rode the Mercury/Redstone 3 mission into America's first suborbital flight in May 1961. 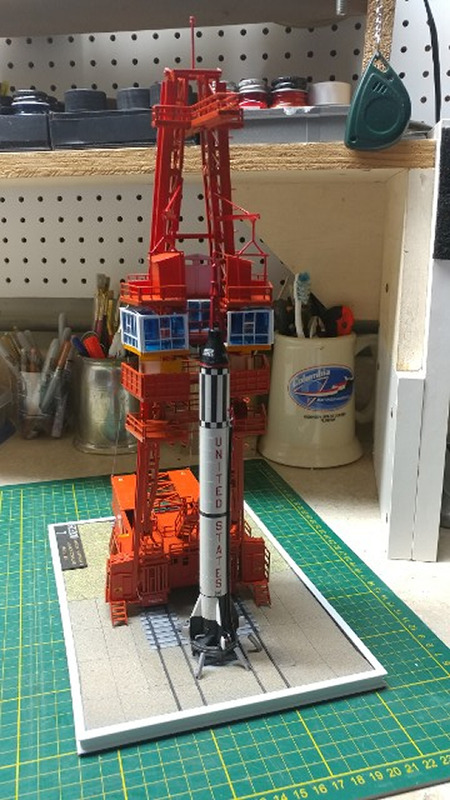 Over a few weeks time this year, we re-worked the 1/110 scale Revell Jupiter C model to complete the conversion to Launch Complex 5, with Shepard's "Freedom 7" getting ready to fly. 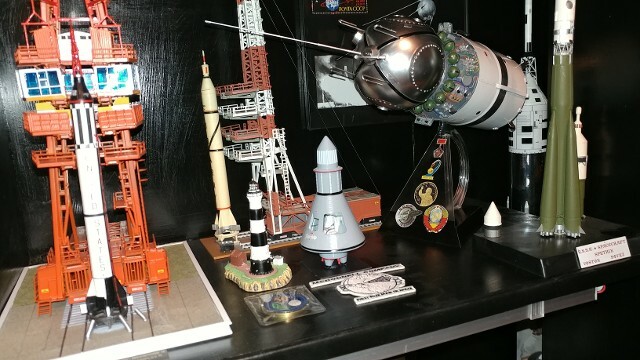 Now, she's also on display in "the Lovely Apollo Room," next to the original Jupiter C-Explorer 1 model, as part of the Beginnings of the Space Age Collection.